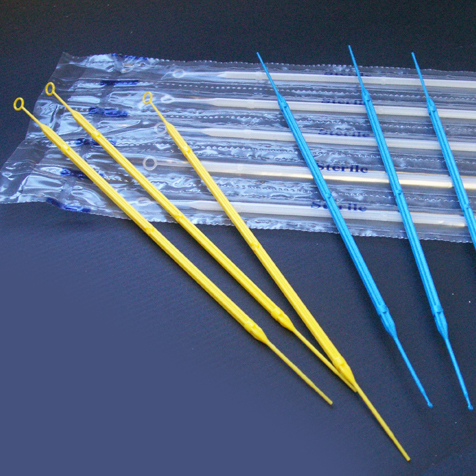 Globe Scientific's disposable inoculation loops and needles offer the most convenient and safest way of streaking culture media. Molded from a special medical grade of polystyrene (PS), they offer a strong, rigid feel to provide comfortable, stable and uniform streaking. The loops are enclosed in peel-apart packages or individually wrapped. All loops are sterilized by gamma radiation. The 1µl and 10µl inoculation loops are available with the loop on one end and an integrated needle on the other end. A separate needle is therefore not required. We also offer a 10/1uL combination loop consisting of 1uL on one end and 10uL on the other end.